Many things in life are categorised so as to ensure they are appropriate for a designated age group. Films are an obvious example – they are assessed for their language, nature and content in order to determine whether they are suitable for young people and if so, what the minimum age of the viewer should be. Various medicines are designed according to age group as well, with different strengths, ingredients and doses recommended for children and adults. Everyday items like clothes will also feature designs and be available in sizes that reflect a particular age group’s preferences and requirements. In dentistry, there are an array of materials and procedures that are better suited either to younger or older patients, so treatment plans are created based on what it best for the individual. For example, a child and an adult with a missing tooth would be approached very differently. For the former, this would be of little concern if the permanent teeth were still erupting and their anatomy still developing – this is simply part of the maturing process and a simple good oral health routine would suffice. For an adult, a lost tooth could lead to a range of problems including tooth movement and bone resorption, plus, the aesthetic affect of losing an anterior tooth would have a much greater impact on an adult. A crown, bridge or implant might be explored as a result. The patient’s age, requirements, shape of their mouth and individual circumstances must all be considered in order to plan and implement the most effective treatment for them. The same meticulous approach should also be taken when providing mouth guards. Aside from size of the mouth guard (which obviously varies according to the patient’s age), other features of the device will depend on the individual’s age and the type of sport they play. Younger participants tend to be at risk of much lower impacts, regardless of their sport – for example, most primary schools will implement non-contact or ‘tag’ rugby, where players are not allowed to body tackle. Similarly, you wouldn’t expect extreme force to be used during children’s boxing matches or martial arts training. As such, their mouth guards are required to absorb a low to moderate impact and can therefore be slimmer in size for maximum comfort. As these patients get older, however, the same devices will not remain sufficient. As contact increases in frequency and strength, the mouth guard needs to be able to provide greater protection. 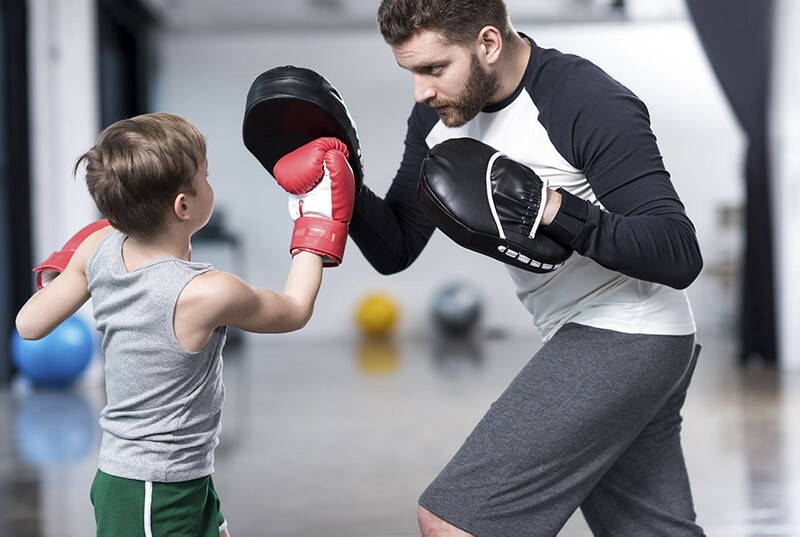 What’s more, the level of protection needed will vary depending on what sports are being played – boxing involves a higher impact frequency and severity than rugby, lacrosse higher than hockey, and so on. In addition to the risk of impact, other factors might come into play too. As patients move up to club, county or national level in their chosen sport, they may develop other needs. For example, team sports necessitate communication between players, so the mouth guard will need to allow the wearer to speak as normally as possible, without falling out of their mouth. High intensity sports might also mean a patient requires a slimmer mouth guard in order to obstruct the airways as little as possible. With so much to think about, how can you make sure you’re providing the most appropriate mouth guard for every one of your patients? Firstly, the benefits of custom-made mouth guards cannot be overestimated. The superior fit of these compared to the ‘boil and bite’ alternatives will ensure optimum comfort for the wearer. The individualised design of mouth guards will also facilitate compliance with the additional requirements of the wearer as mentioned above, ensuring they have the most suitable device for their age and sport. Finally, custom-made mouth guards also deliver the very best protection – regardless of your patient’s age, sport or level of participation. By choosing a leading product such as Saber Protect, you can have complete confidence that you’re providing the most appropriate mouth guard every time. Designed and manufactured by a highly skilled team of technicians, these mouth guards feature unique layering technology that can be tailored according to frequency and severity of impact of the patient’s sport for outstanding protection. In many areas of life, it’s important to make sure things are age appropriate. As your patients grow older, you will automatically adjust the dental care you provide to ensure its suitability – it’s vital to do the same with their mouth guards so as not to compromise their protection or performance. Saber Protect custom mouth guards are manufactured by Costech Dental Laboratory. You can order Saber Protect by downloading our order form.